Astex Environmental Services (AES) is prepared to conduct limited soil sampling that may be included as part of the “due diligence” Assessment or as a separate Assessment. A Soil Assessment of this type is designed to determine if a contaminate has a significant impact on the client’s property. AES’ professionals are available to test soils for various pollutants including lead, PCBs, Total Petroleum Hydrocarbons, etc. With the available technology, AES is prepared to perform the required sampling from surface sampling to deep borings. The results of the sampling analysis are complied in an easy to read and understand report with definitive answers to inform the client of any impact or possible future actions. Astex is prepared to work on the client’s behalf as Project Managers to insure that environmentally sensitive projects, such as underground storage tank removal, are completed in a timely and expeditious manor. As the Project Manager, AES acts as liaison between the client, contractors, and local, state, and federal agencies and does so with a determination to keep projects under budget while satisfying all applicable regulations and protecting the client’s liability. If contamination is discovered, AES will develop a remedial action plan, including various options and cost analyses, to quickly and effectively resolve the situation and to reduce the client’s liability. A Phase II Soil Assessment is a process whereby a three dimensional portrayal of the type and extent of contamination is assessed. Typically, this process encompasses soil borings, ground water monitoring, and contamination characterization not only to depict the levels of contamination, but also to quantify the amount. AES is prepared to perform a complete Phase II Soil Assessment to include the appropriate testing and site characterization to insure the client has all relevant information to make responsible and cost effective decisions. 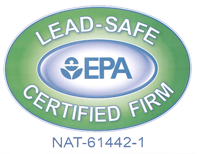 As a client oriented company, AES provides all appropriate documentation in easy to read, informative reports that not only describe the subject property and the extent of contamination, but also relates this information to local, state, and federal standards. Provided within each report is a narrative description of the Phase II Assessment process, a process that is unique to each site which includes informative details on the testing conducted that not only describes the methodology but also the rationale for the testing. The Conclusions and Recommendations are written in a non scientific format for the lay client that gives meaning to the numbers. In turn, various options or solutions are detailed, including cost analysis per solution, to give the client the adequate information to determine the future action required. This entry was posted in Soil Assessments. Bookmark the permalink.